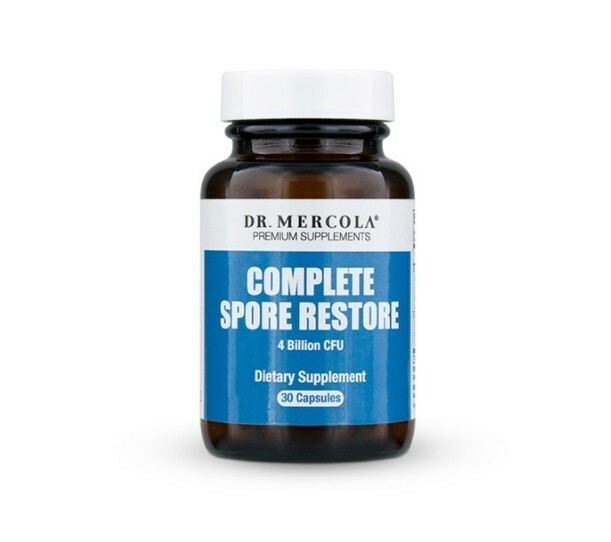 Complete Spore Restore is formulated to include four outstanding soil-based spores and a prebiotic organic blend of three highly valued mushroom mycelium. Other Ingredients: organic whole grain brown rice, capsule (hydroxypropyl methylcellulose). *Mycelial Biomass cultivated on Certified Organic Oats. For optimal gut health, you need two different types of good bacteria: Reconditioning bacteria spores, or Soil-Based Organisms (SBOs), to condition your gut and support the growth of good bacteria, and reseeding bacteria (probiotics). Think of it like a garden… The spores act as the gardener. Like any good gardener, they pull weeds, detoxify the soil and replenish its energy and nutrient content. 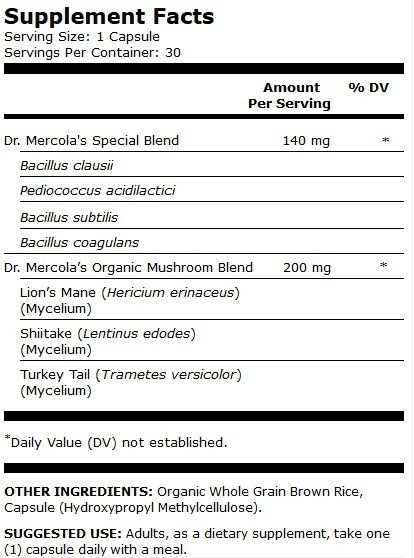 Spores provide a healthy foundation and growth medium. Soil-based organisms (SBOs) are bacteria spores that work in your gut much like the gardener. Spores provide key “reconditioning” strains of bacteria that help protect and recondition your gut flora, and prepare it for the introduction of probiotics. They help your microbiome recover from on-going assaults by fluoridated and chlorinated water, stress, medications, processed foods and refined sugars, EMFs, and pollution. 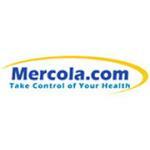 Adults take 1 capsule per day with a meal. 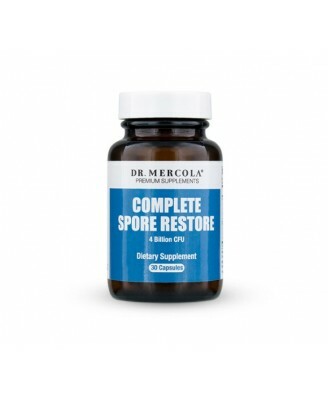 Buenos dias, estoy interesada en comprar complete spore restore de Dr. Mercola, vivo en España (Malaga) y quisiera saber si lo envian aqui y cuanto podria tardar, gracias y saludos. Hola, nuestro almacén está abierto hasta las 23.00 CET en la noche en días hábiles. Por lo tanto, su pedido debe enviarse el mismo día. Nuestro almacén está ubicado en los Países Bajos y el plazo de entrega a España es de 3 días hábiles. Enviamos a España con GLS.